Great Bear Resources (TSX-V: GBR) today reported a high-grade gold discovery in the Hinge Zone at its Dixie Project in the Red Lake District of Ontario. Great Bears' stock price increased by 62.5% and is currently trading at $1.17 per share. Drill hole DHZ-003 returned 16.35 metres of 26.91 g/t gold including separate sub-intervals of 5.05 metres of 51.39 g/t gold, and 1.0 metre of 112.63 g/t gold. 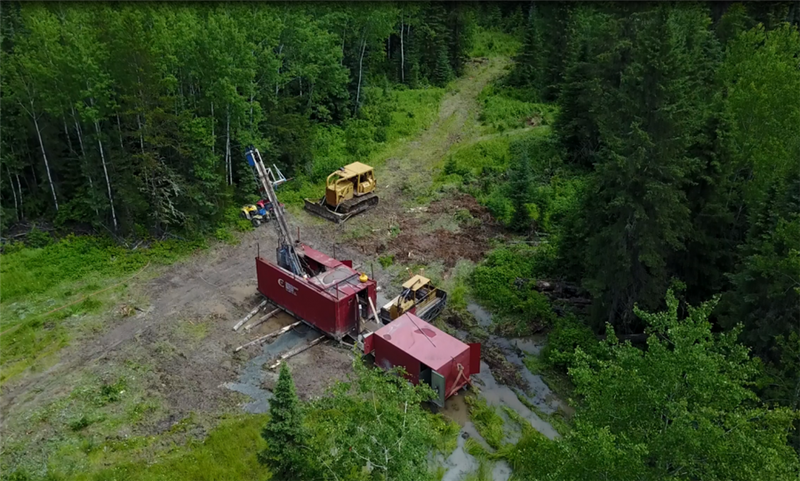 Drill hole DHZ-004, a follow-up drill hole completed 15 metres vertically below DHZ-003 intersected higher-grade gold mineralization, returning 7.00 metres of 44.47 g/t gold, including 2.00 metres of 143.24 g/t gold. The newly reported intercepts from the Hinge Zone are shallow, occurring above 110 metres vertical depth and are open in all directions. As announced on May 23, 2018, Great Bear received funds from warrant exercises totalling $2.1 million and is fully funded to drill the remaining 5,000 metres of the current 10,000 metre drill program which commenced in March 2018. Great Bear Resources is a Canadian precious metals exploration company focused on the Red Lake mining district in Ontario.